No video playback capabilities, please download the video below. President Eagles Charity Golf Club e.V. 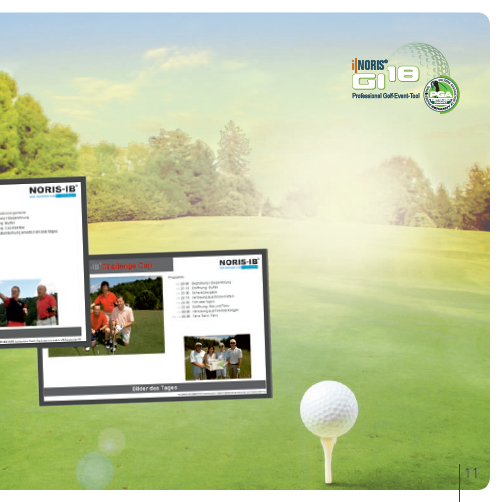 "As organizer and main sponsor of the Young Seniors Open I appreciate GI18. We reduced our expenditure of time during the invitation processes by working with the software. For example you can crate and send E-Mails such as invitations or invoices. Especially the opportunity of the online registration for your guests is very important to us. 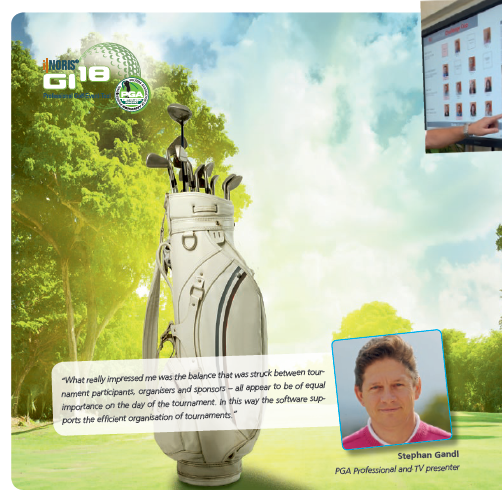 With GI18 you can work from wherever you are which is an absolute advantage if it comes to efficient work. The software simplifies the daily work." "The Thueringer Charity Open e.V. organizes the biggest charity golf tournament in Thuringia for 9 years now. The popular supporter Franz Beckenbauer took part in the event the fifth time and helped us to collect charity funds for the good cause. The event’s initiators are people and companies who do the work in addition to their daily business. 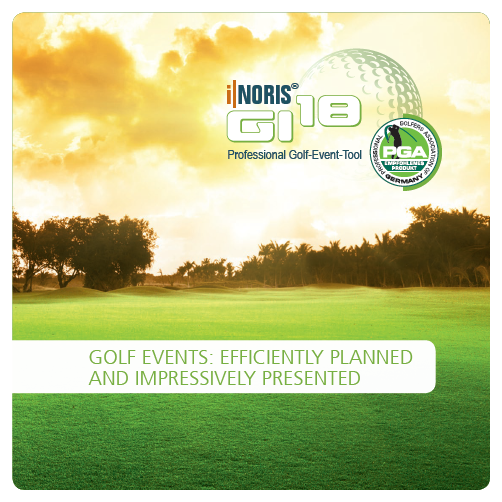 With i|NORIS® GI18 we use a software that allows us to plan and organize the event in an efficient and transparent way. 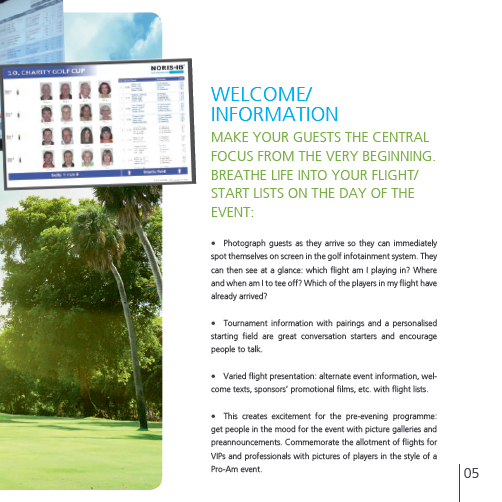 We see the participants’ development and are able to edit the flight or table lists. The ease of using the program and the possibility to reflect changes immediately or the fact that we always work with up-to-date information, is a valuable contribution of the software solution when it comes to terms like time saving, data synchronization or the flow of information." 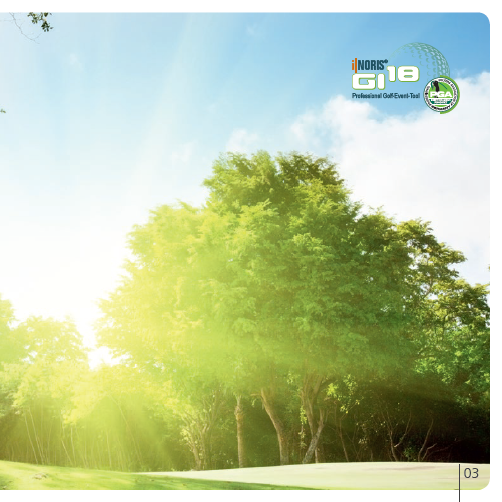 "We are using GI18 for our big Clean Winners Golf-Charity for three years now and we are still impressed. Due to the convincing participant management we save precious time we can then efficiently use on other tasks. Our big auction was upgraded to a higher level by using the GI18 auction platform. Our guests were able to place their biddings via a tablet pc in the run-up or during the evening event itself. This new feature animated more guests to participate." 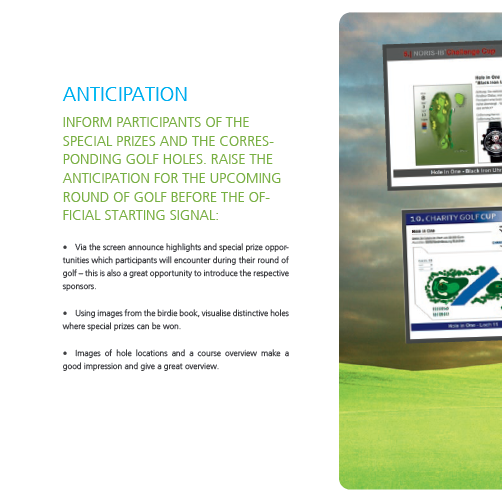 "As home course of noris-ib we have the luck to see and use the software from the very first moment. 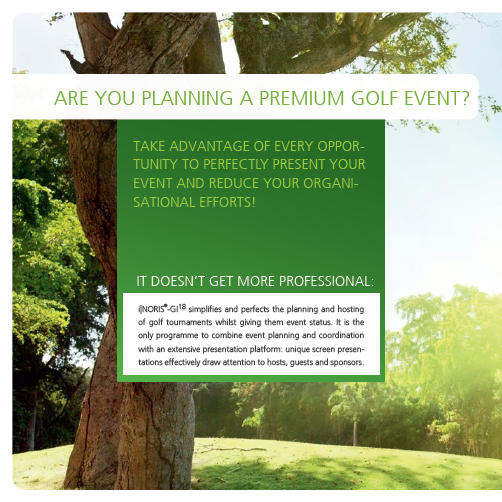 Especially if you have many big tournaments during the year you learn about the software’s big advantages in preparation and execution of an event. The additional features (e.g. 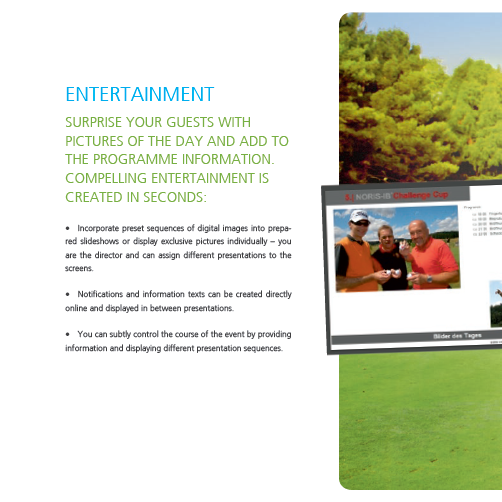 Leaderboard, LiveScoring, Slideshow or Videos) complement the software. But we also do not want to miss the possibility to use the features of the software for the daily work (e.g. Greeting of Travelgroups)." 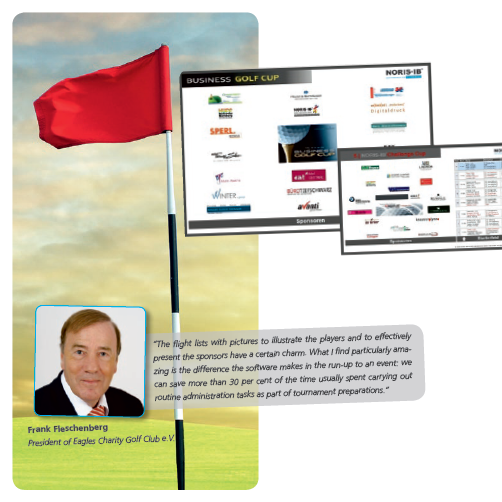 „As Fully Qualified PGA Golf-Professional I know lots of organizers and event agencies who arrange themselves with MS Office-Solutions. Because I often work as a tournament director I know tournament organization. It is very important to keep the work simple and not complicated. 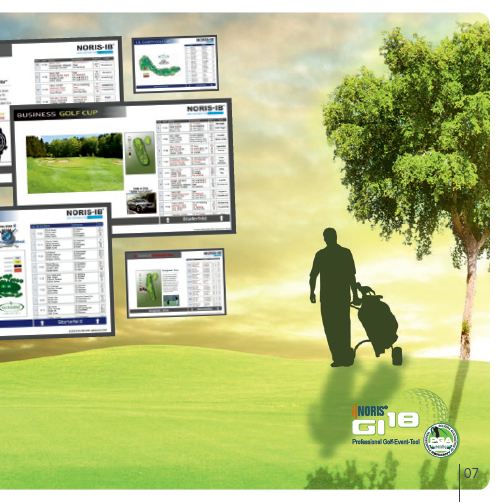 Due to the fact GI18 is intuitive you can create flights, change a guests data or add new guests with ease. 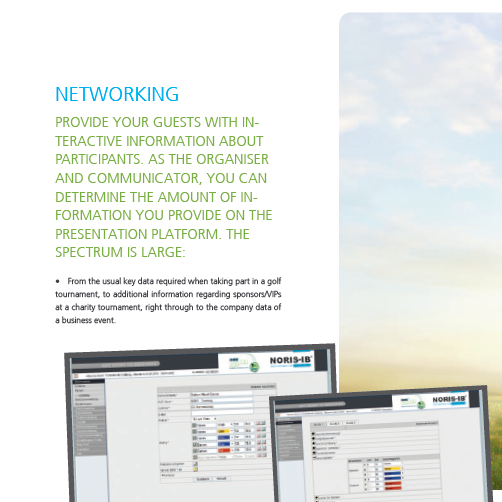 If you want to safe time during the organization process of a tournament you need a software that “talks golf”. Why not discover the benefits for yourself? Convinced – or have any further questions? 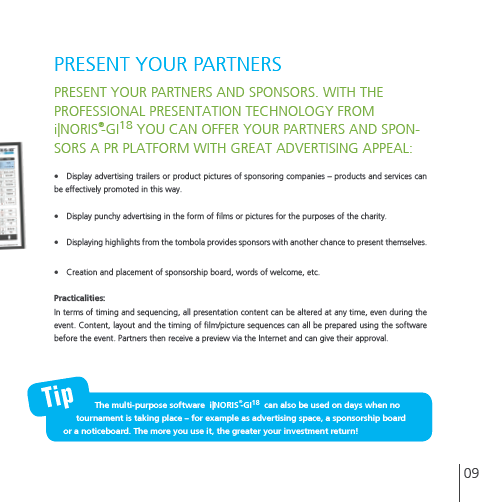 We will demonstrate why our software is the best solution for you. You will notice: We offer an outstanding cost-to-benefit ratio.